President Muhammadu Buhari will on Sunday leave for Lome, Republic of Togo, to participate in two high-level meetings, accompanied by Gov. Ben Ayade of Cross River and Gov. Abubakar Bello of Niger. 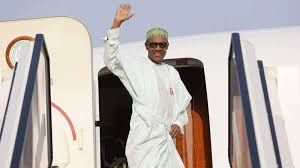 In a statement made by the President’s Senior Special Assistant on Media and Publicity, Malam Garba Shehu, in Abuja on Saturday, said President Buhari would on arrival have an interactive session at the Nigerian embassy with the Nigerian community based in Togo. Joint ECOWAS/ECCAS Summit which will deliberate on common security threats to countries in West Africa and members of the Economic Community of Central African States (ECCAS).